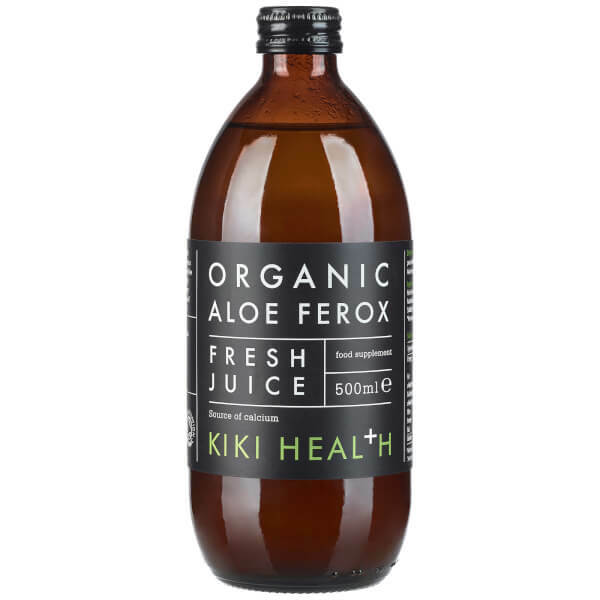 KIKI Health Organic Aloe Ferox Juice is a pure and unfiltered, natural juice that provides calcium and colon-cleansing benefits. Aloe Ferox is native to Africa, and is rich in calcium; it contributes to normal digestive function and assists in effectively breaking down food. 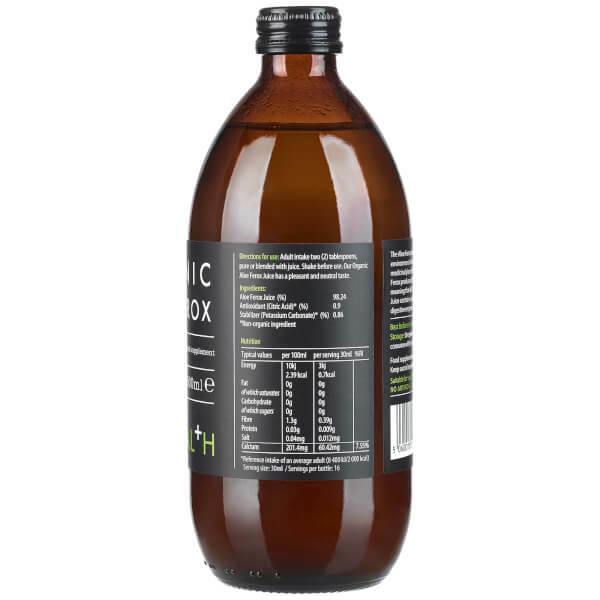 Pure and unfiltered, the undiluted juice has a higher concentration because nothing is lost during the filtration process, and it is unconcentrated to retain the plant's vital nutrients. Housed in a protective dark brown glass bottle to prevent oxidation. Naturally free from gluten and wheat. No artificial colours, sweeteners or fillers. Mix 2 tablespoons with fruit juice or drink pure before meals. 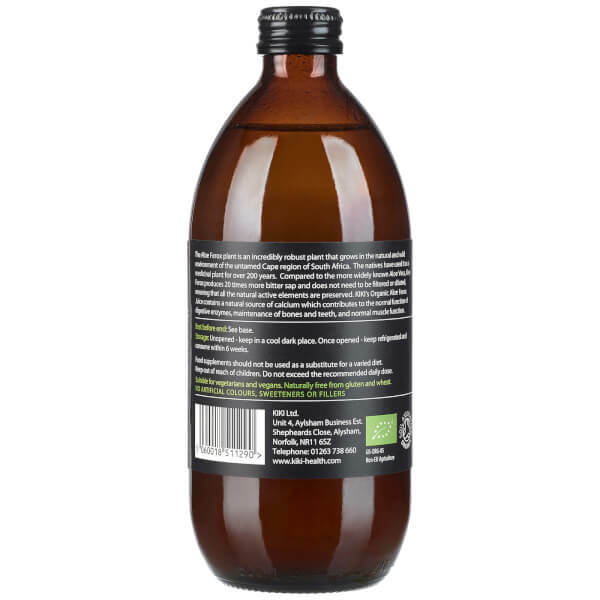 Fresh extracts of Aloe Ferox Juice 98.24%.